Rarely does a stage show feature an illustrated lecture on the male production system delivered by an irascible but charming octogenarian. 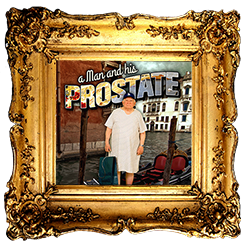 Yet this oddity was precisely the case with “A Man and His Prostate”, a HILARIOUS 90-minute monologue about a sudden, unexpected trip to a foreign emergency room. Asner’s voice is strong as ever and unwavering, his life energy robust and strong, providing great entertainment as well as good medical advice.